Our Malnutrition Center continues to save the lives of babies and small children in the large area around Love A Child and Fond Parisien. 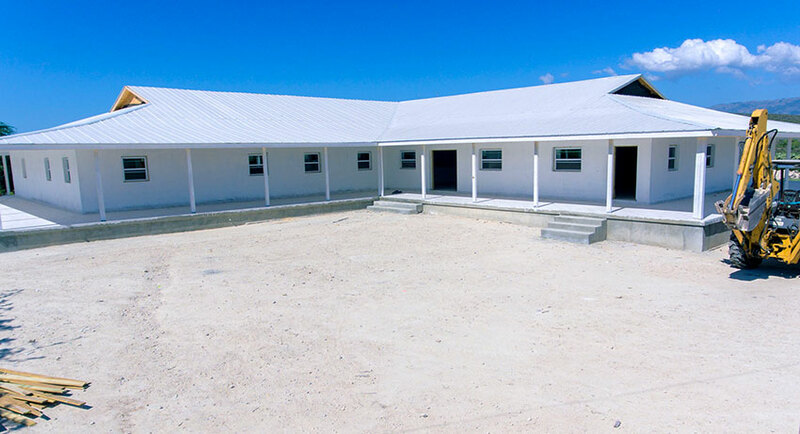 We are so thrilled to be able to treat mothers and malnourished children with this wonderful clinic designed to prevent severe Marasmus and Kwashiorkor malnutrition in small children, toddlers, and babies. 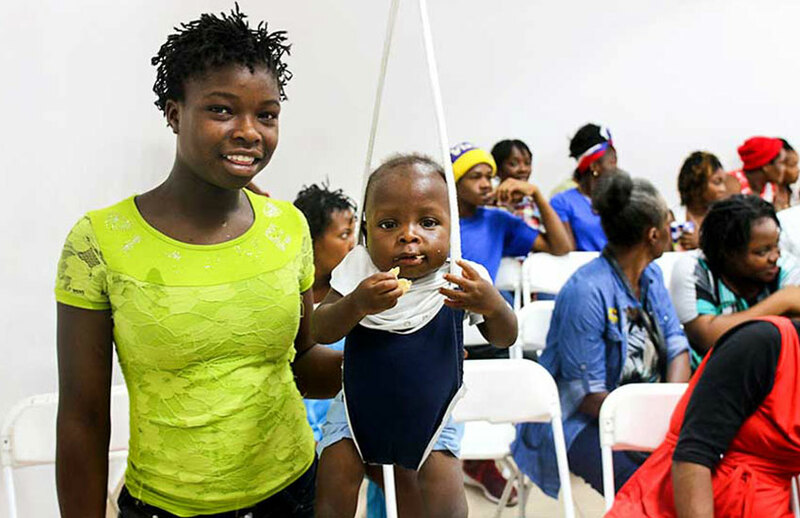 Each week, mothers come with their children, who have been referred to our Malnutrition Center. The babies are weighed, measured, and examined. Mothers get training in the special foods they should give to their children, and get bundles of food to take home. Sometimes, it can take a year for a child to gain the weight it needs to be on track with other healthy children. We are thankful to Joyce Meyer Ministries — Hand of Hope who sponsors the cost of this outreach each month. Without this help, we would not be able to keep this lifesaving project running! 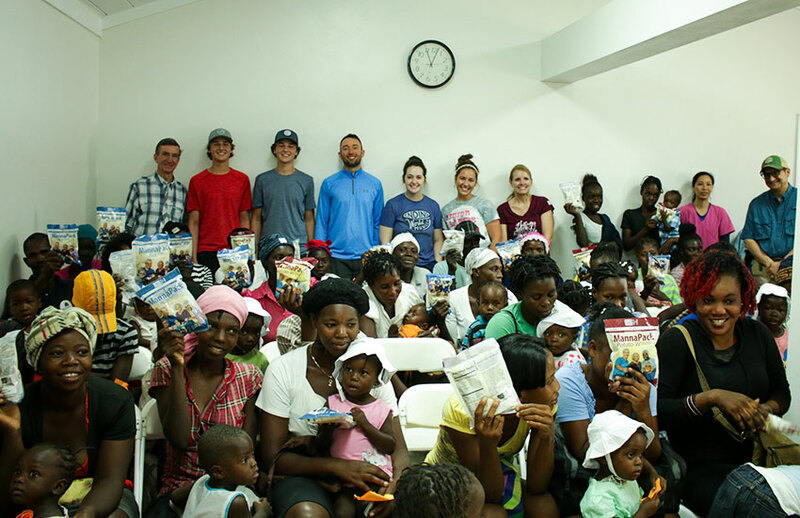 The team from Feed My Starving Children had a wonderful time at our Malnutrition Center weighing babies, giving out food, and helping the mothers. We have been caring for all the pregnant mothers who come to our Malnutrition Center for check-ups. 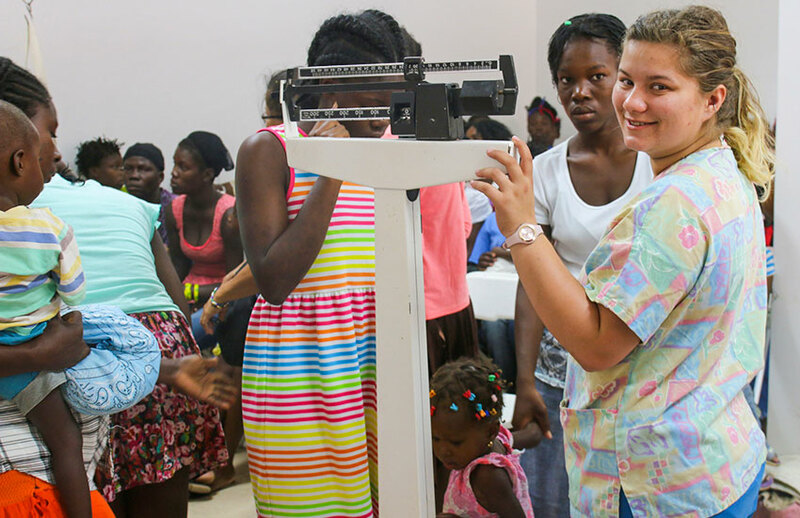 They come from all over Haiti for the professional medical care offered at our facility. We also have ultrasound equipment that was donated by Joyce Meyer Ministries – Hand of Hope. This technology is very helpful. We give these mothers a clean “Birthing Kit” to take home because when mothers have their babies on the “dirt floor” of a mud hut, and they use a “rusty razor blade” or tin can lid to cut the umbilical cord, they often develop severe infections and die. We wish to thank all the church groups and other organizations that spent many hours putting together Birthing Kits and sending them here to Haiti. You are saving so many lives! Love A Child hosted a team of volunteers from the Lighthouse Church of Panama City Beach, Florida this summer. We are so glad they came to Haiti. They worked very hard packing food into bags for our Malnutrition Center, and they weighed and measured hundreds of babies and toddlers. The food was donated to us from Feeding Children Everywhere, and also Feed My Starving Children donated special food for malnourished babies! The “cry of the poor” touched the heart of each team member. Our Malnutrition Center has been saving the lives of many mothers and babies this past year. We are so grateful for the support of our partners, sponsors, and volunteers who come to help us create a better opportunity for the survival of Haitian families. 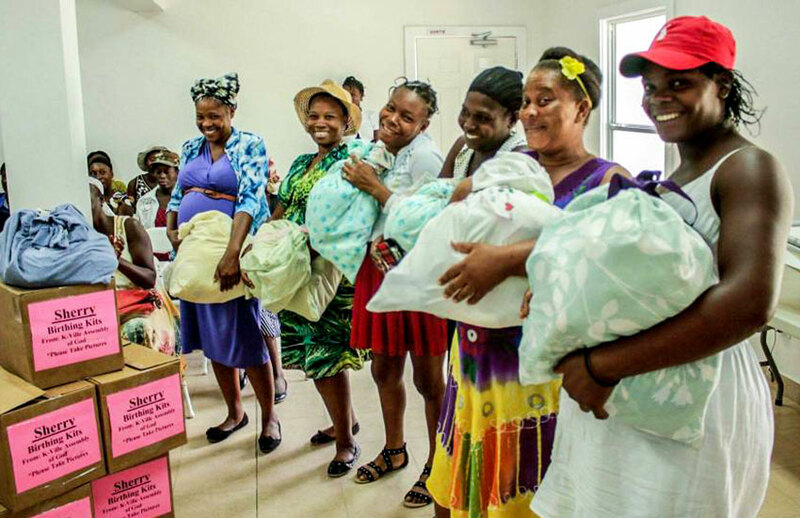 These families are thankful for the chance to give birth safely and to raise healthy children in Haiti. The poor Haitians continue to have families with lots of children and continue to struggle caring for them. For many poor Haitian women, giving birth is often very dangerous. We are now seeing so many babies being born at our Jesus Healing Center that we realized a great need for a Birthing Center. You are now looking at the next “step of faith” for Love A Child. As great as our Jesus Healing Center is, we were never set up to “deliver babies,” but we do care for the mothers who live in the mountains and send them home in their eighth month with “Birthing Kits.” However, some of these babies don’t know about the “Birthing Kits,” and they decide to come early… in our yard, in front of our gate, or on the way to our clinic! So our need for constructing this new Birthing Center is based on our faith and by all the wonderful people who helped to bring this dream to life. A big thank you goes to all our sponsors, partners and Mark Ostrander and our great Haitian construction team for helping to build this dream. We laid out the foundation for the new Birthing Center. 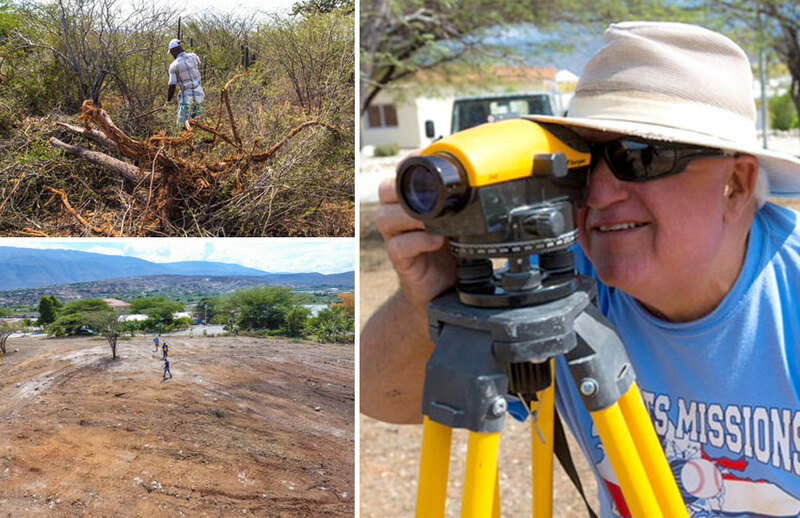 We have a fantastic Haitian crew, working under the guidance of Mark Ostrander. 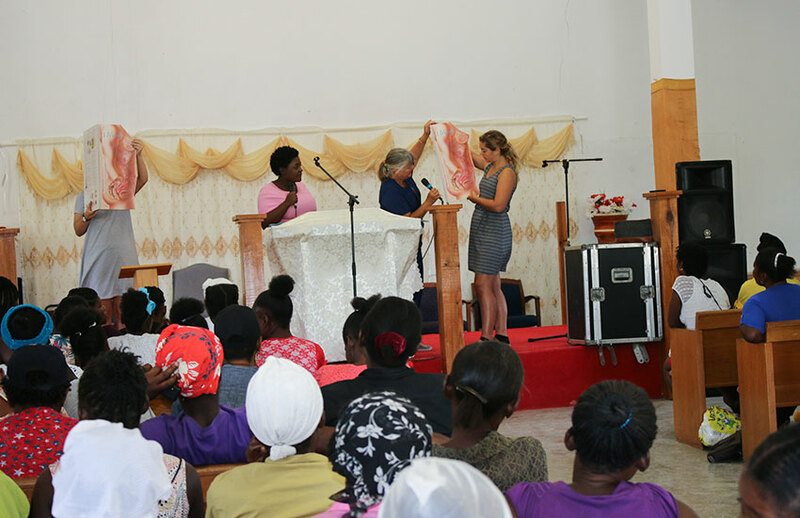 In May, we held a Women’s Birthing Seminar for hundreds of expectant mothers. Jeanie Haas and her daughters conducted a wonderful “Birthing Class” for pregnant women, midwives, and many others. It was packed to capacity! They asked all kinds of questions, some of which were so funny like, “If I eat white beans, will my baby be a lighter color than if I eat black beans…” and so on! Jeanie said, “Well if you eat a mango, do you think your baby will be yellow?” They got the point, and everyone laughed! God bless our wonderful partners, and God bless Jeanie and Bill and their delightful family! 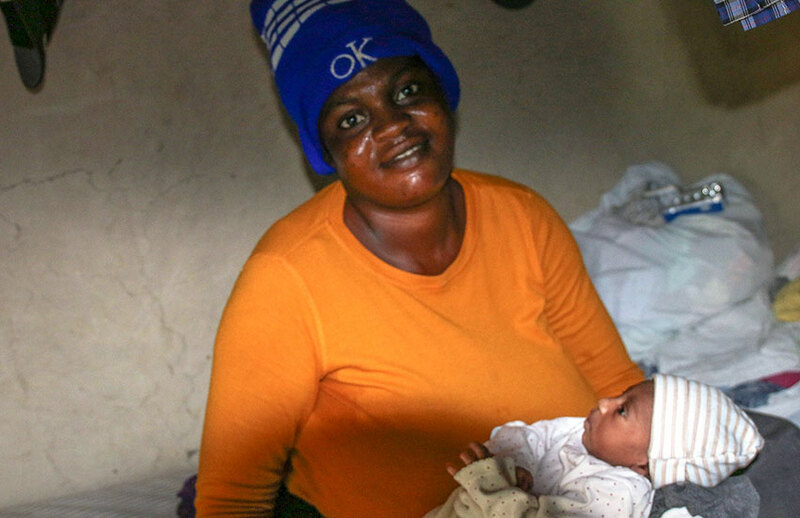 This summer this precious lady had her baby in the village of Old Letant “all by herself.” The baby was born on a mud hut floor, and it is a miracle that infection did not set in. When our missionary Kaeli found out, she went to Old Letant to make sure the lady didn’t have a fever, and the baby was okay. The lady had not breastfed her baby yet. She also did not want to leave her mud hut for three months and had buried the placenta inside her hut, due to superstitions and cultural reasons. She had cut the umbilical cord with a dirty razor. Many mothers and children die during childbirth or immediately after the birth because of these traditional ideas. Some of the children at our Love A Child Children’s Home are there because their mothers died in childbirth. We must instruct Haitian mothers about taking appropriate care of their babies and themselves. 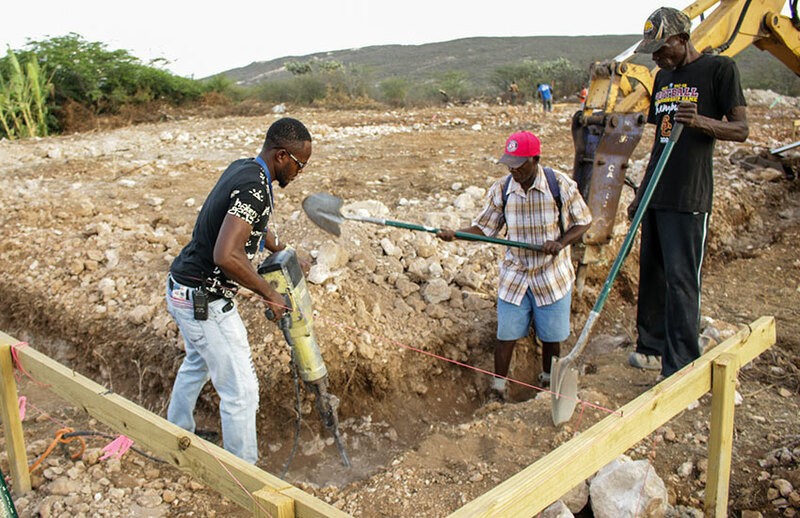 By July, we were about halfway into the construction of the Birthing Center, and I was so proud of all the Haitian workers! They worked right through all the chaos. Haitians are very special people. By faith, the Birthing Center will be finished in March of 2019. By faith, all the money will come in! 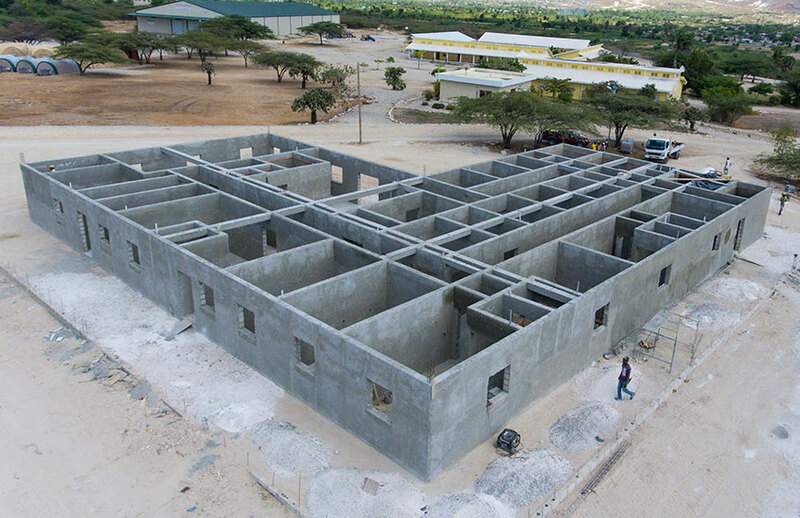 This center will be a Women’s Birthing and Learning Center teaching prenatal and postnatal care, and a maternal teaching center. Thank you to all of you who have given toward this project. In September, we had a great volunteer team from the State of Washington to help with the construction. 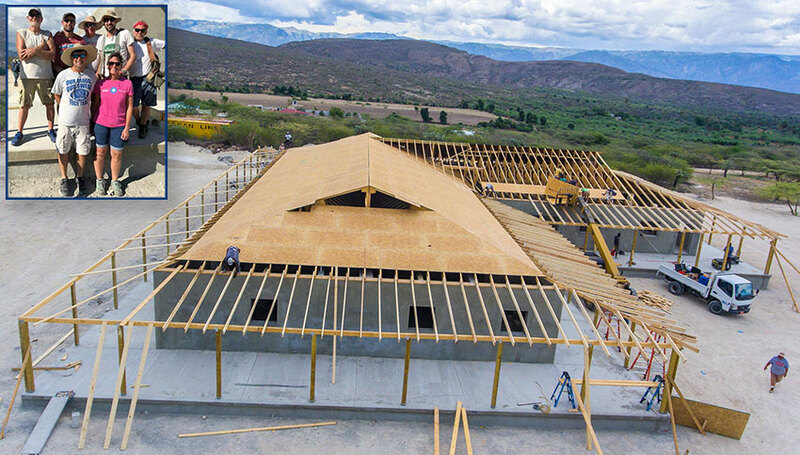 The team worked on putting the roof on the Birthing Center. God bless Mark and Jesse Ostrander, the outstanding team from Washington, along with all the hard working Haitian construction workers. Mark put a thermometer up on the roof, and it got stuck at 130 degrees! These “guys and gal” can all “walk the dog!” Thank you. We are believing the Lord by faith, for the money to provide all the equipment and furnishings for the inside, and maybe a solar system for power. By faith!!! The construction continues. Just look at this beautiful Birthing Center going up! Thank you, everyone, our sponsors and all who have contributed to this great project. 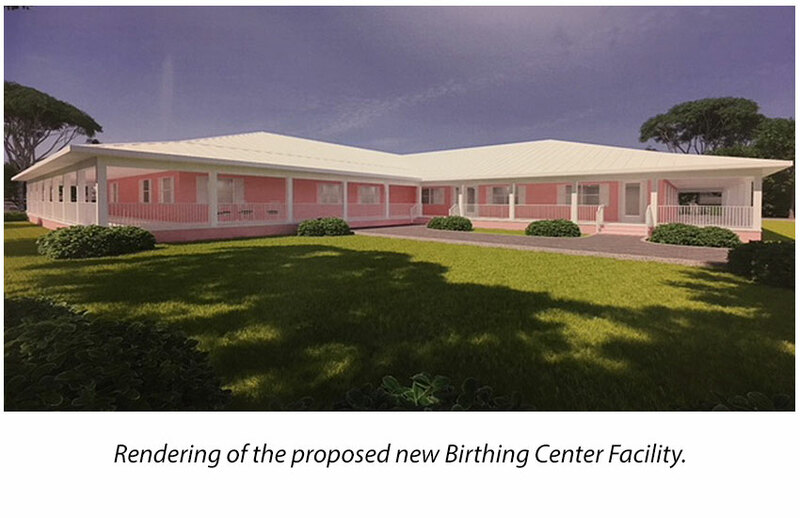 We are all working together to bring this miracle Birthing Center to the women of Haiti! The dedication of the Birthing Center will be on Friday, May 17th at 10:00 AM. Our Haitian workers are putting in the sidewalks now. We just bought 50 rocking chairs for the porch of the Birthing Center. Would you like to join the rocking chair ministry, rocking the babies? There will be lots of babies! Thank you, partners, for helping change lives in Haiti every day. Please hear the “cry of the poor,” and “do something” today. And when you do, God will bless you for “considering the poor!” (Psalm 41:1-3) If you would like to speak directly to one of our staff members, please call (239) 210-6107 or email us at info@lachaiti.org. 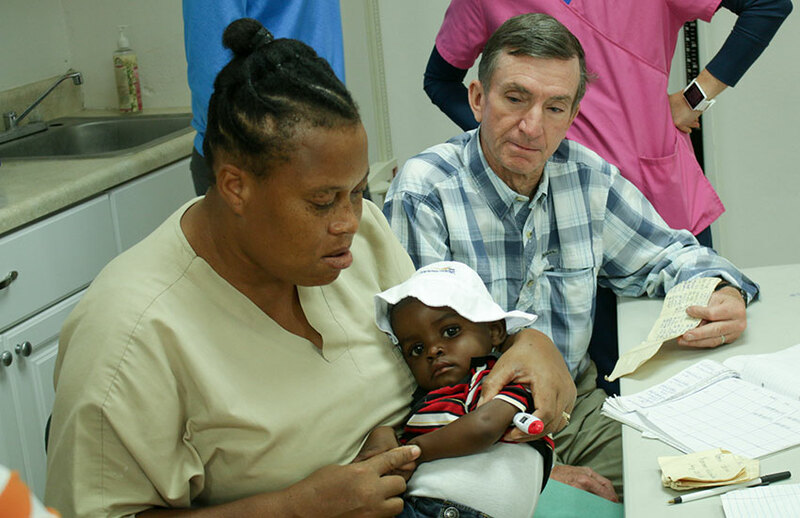 You can read more about our Medical Outreach Programs below.